I believe location is everything with real estate and hotels are no exception. If I’ve traveled thousands of miles to visit a special temple I want my hotel to be next door not 2 miles away. So the location is often a criterion when I’m selecting hotels. How do you know where it is? The Lonely Planet books have little maps for all the major towns. CLICK HERE to view the latest one on Amazon. Obviously you’ll want to lock your room when you’re out and about. I try not to leave any super valuables like passport and credit cards in my room but sometimes it’s simply unavoidable. In that case make sure you hide your valuables cleverly within your suitcase or somewhere that is not visible upon entering. Some people carry their own padlock around so that they feel more secure (I don’t do this). Also you’ll obviously want to bring your lock inside when you’re in the room (so that no one can lock you in!) 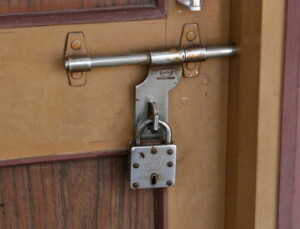 and also it’s wise to lock the door (from the inside) with a bolt lock when sleeping at night. I recommend having a cheap pair of flip flops or crocs for the showers. Even in the classy hotels the shower floor can be a bit nasty and who knows what’s living there? You can pick up flip flops everywhere in India but if you’re like me and have large feet you may have difficulty finding your size. They carry plenty of choices up to men’s size 10. A personal bed mosquito net is a must for most hotels. Even the more expensive ones often don’t have net’s over the windows or beds. Malaria is still a problem in India and I’ve been with people who got a mild form of it. It can be challenging to set up the mosquito net in the $2 hotels but I always figure it out with an elaborate setup of strings going across the room. You can find these nets in most bazaars across the sub-continent. Also if you like using mosquito repellent then bring your favorite kind. Additionally they have this little wall plug repellent called “All Out” from Johnson&Johnson which seems to be fairly effective but kind of toxic and I don’t enjoy breathing those fumes all night so I don’t use it. The cheaper hotels definitely will not provide you with a towel. So I advise you to bring a small travel towel for drying yourself after showering etc. You can also pick up these towels in India but watch out for colors leaching out into your other clothes. A flash light or headlamp is a must bring item. The power supply in India is very dubious and can fluctuate from 50 V to 300 V or turn off completely without warning. In this case you will have no lights and could cause problems especially if it’s an emergency. Candles can also be good if you are staying in one location for a while. Thanks for these tips Asher. Katie and myself are about to go to Hyderabad at Doctor Raju’s Panchakarma Family Clinic for 26 days. Good tips. I enjoyed reading it. I find your infos very useful, thank you! We are traveling to India for the first time. And I have one question regarding booking the hotels. Would it be safe to reserve the hotels via websites like hotelscombined.com or booking.com or directly via specific hotel’s website? Its very useful information about the good hotels in India it self. When you are traveling to India u need to have flash light it is very important most of the time there is now power.And also need to confer that the you need to have hotel reservation compulsory. Most of the if book online it will be great. Being an Indian i find these information true and useful for the people travelling to India. I believe that these tips are really important while planning a travel to India and some tips are useful when traveling to other countries. In fact, when I am planning to go for a family trip, I do consider first the hotel reservation through online because it is the better way to secure the safety of your stay and what important is that you will already know the cost and you’ll have choices of your accommodation. At least, you won’t regret to stay in a place that you’re not comfortable. Wow, great tips to get a good tourist experience in India! Nice blog, Its very helpful for tourists. Nice tips these are for the foreign travelers who are traveling India for the first time. First time traveling to an unknown place always feels like you’re an alien and entered into a new world. Because that person is completely ignorant about the lifestyle of the local people. Talking about the hotels, the budget hotels are always popular in India because they provide almost the same luxury of living as that of a 5-start hotel or Royal villas. You’re writing amazing genuine things in your website. It will help foreign people a lot to save money, finding the right thing at the right price, basics of living like a local and many more things. Thanks a lot. this wist of fate did nott happened earlier! Excellent feedback on the hotels in India. Interestingly when I visited back 2013 I went with the mid-priced places rather than the more expensive or cheaper ones. I don’t think you will have issues at that Indian hotel. 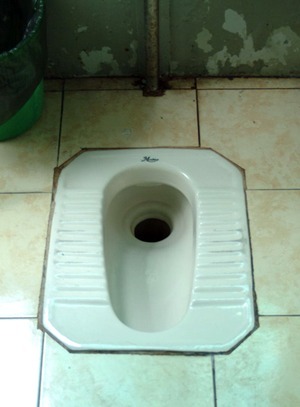 You have mentioned something interesting about squat toilets that are usually founded in Indian homes and hotels as well. Anyways well done! Rs. 500 room rate in India has been history for a long time! Great Article! 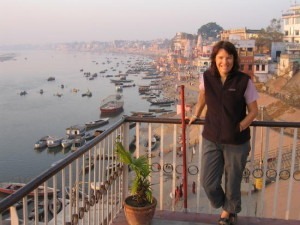 Nice list of tips it’s very useful for travelers to India. Thanks for sharing such a beautiful informative information on the blog. I really appreciate the blog because it contains a interesting information. I Look forward to get some more tips about the Indian hotels. Nice Post. Great post. thank you for sharing this information. I am going to visit Odessa for five days and planning to stay in The HHI Bhubaneswar Hotels. After that I will visit Visakhapatnam, Kerala etc.